The prize will be awarded at the annual SSA Conference to a researcher who is in the early or mid part of her or his career who has made a significant and specific contribution to the addictions field in recent years. The recipient of the prize will receive £2,000 and a certificate which includes the words 'for a significant contribution to the work of the addictions field'. The recipient will be invited to present his or her research at that year's Conference, for which his or her attendance expenses will be reimbursed, up to a maximum of £500. Nominations from SSA members are to be received by 31 January. A selection panel of three individuals is appointed each year from the SSA's Board of Trustees. You can make a nomination online here. In recognition of a significant contribution to research and practice in the addictions field. 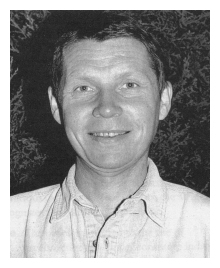 Fred Yates made a significant contribution to addiction studies, particularly with respect to the evaluation of alcohol treatment services and the various applications of computing in our field. After obtaining an Honours degree in Psychology at the University of Newcastle upon Tyne and a PhD at the University of Birmingham. In 1975 Fred joined the Alcoholism Rehabilitation Research Group in Birmingham under the directorship of Dr Hugh Norris. In 1981 he became a research psychologist in the University Department of Psychiatry in Newcastle where he worked closely with Dr Anthony Thorley and other colleagues. This was followed by a spell from 1985-88 as Research Officer for the Turning Point Organisation, following which Fred established his own research agency (ASSES: Action from Scientific Service Evaluation Studies) to provide computer support for the voluntary sector at below commercial rates, to carry out commissioned research and to develop research interest in therapeutic computer applications. Of his many publications, probably the best known concern his analysis of 'the use made of treatment' by clients of alcohol problems agencies and his epidemiological and preventive work for the Health Education Council on drinking in two north-east towns. Fred sadly passed away after a short illness at South Cleveland Hospital on 21 November 1996 at the age of 46. Although tragically incomplete, his work will have made a lasting impression on the field and an important contribution to the welfare of those with alcohol and drug problems. Fred was the kindest and gentlest of men and he was widely liked and respected as a result. He managed to combine a sharp intelligence with a genuine humanity and warmth of personality and the Society is therefore delighted and honoured to give an award bearing his name.